Slavic mythology represents all of beliefs, myths and cultural practices of pre-Christian Slavs. This period is characterized by a polytheistic religious system. Mythology, as a field of scientific research is a set of stories. Throughout history, these stories have circulated as ballads, odes, songs. Mythological legends are based on historical sources, written in the palaces or monasteries. 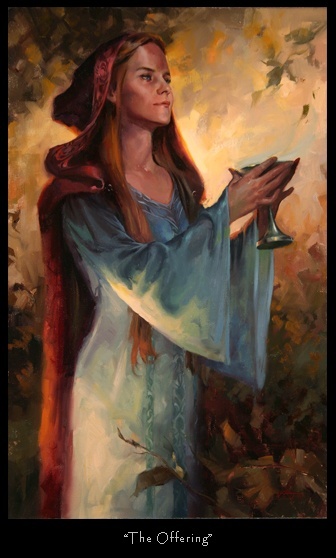 Today we will focus on Slavic mythology goddesses. Slavic goddesses are fewer in number but they have important attributes. 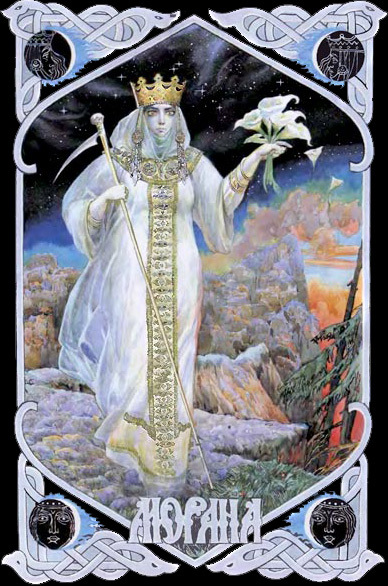 Morana (Morena, Mara, Maruha) is the goddess of death, of winter and of night. In some Slavic tribes, she is also the goddess of unhappiness in love. Repulsive and frightening, this goddess has the ability to transform herself, if necessary, into a swarthy, beautiful and seductive girl. 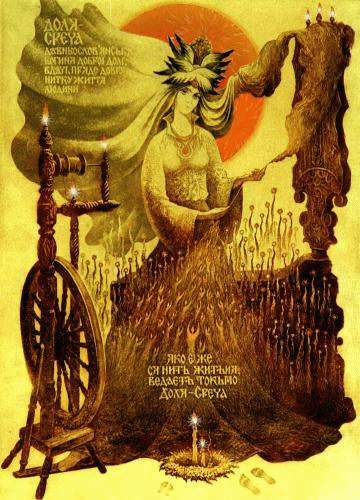 Lada is the Slavic goddess of creation, considered to be the mother of all gods. She patronizes over love, youth, joy and harmony and is a symbol of beauty and order. In the place where she is, there is warmth and comfort, a feeling of you are “home”. The goddess is depicted as a woman in the prime of life and full bodied, symbol of mature motherhood. Kostroma is the East Slavic goddess of fertility and fruitfulness. 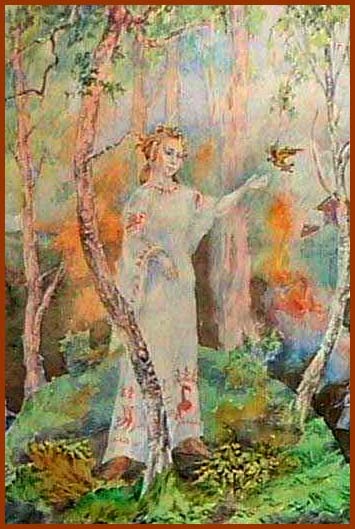 In Slavic mythology, she was the one that provides fertility and abundance of land, being invoked every spring through various rituals. Kostroma brings those born on this day a special talent in writing and speaking. Kostroma is also the goddess of signs and coincidences. Dodola, patroness of young girls and preserver of their secrets, is in some interpretations the wife of Perun, the supreme god and the god of thunder. The ancient Slavs believed that when Dodola was milking the heavenly cows, the rain fell on the earth. Every year in spring, Dodola flies across the fields and woods, making trees to flourish. Therefore she symbolizes the youth and the rebirth. In Slavic mythology, Maya is one of the divine forces of nature, the force that gives life – the sun with the rain. Maya is therefore a goddess of nature, regarded as the bearer of the gifts of crops. She is often depicted as a beautiful mature woman, holding heads of grain and ripe fruit. She is one of the most revered Slavic goddesses. Mokoš is the only female divinity in the series of the seven primordial gods of the eastern Slavs. She is considered the protector of the house, harmonizing the relationship between family members. Mokoš is the “goddess who purrs wool”. She is often represented with anthropomorphic deformities (a large head and long hands) .She protects, respects and builds the women’s work, especially handmade things .Also she is “the one who knots the fate” of people and she appears as a goddess of fate and destiny. Letnicha Lola is the goddess of beauty, love, attraction and sexuality. She plants love in the hearts of all gods and men. She is represented as a tall slender woman, with delicate features and a long golden hair. The Goddess is the embodiment of divine beauty and eternal youth.